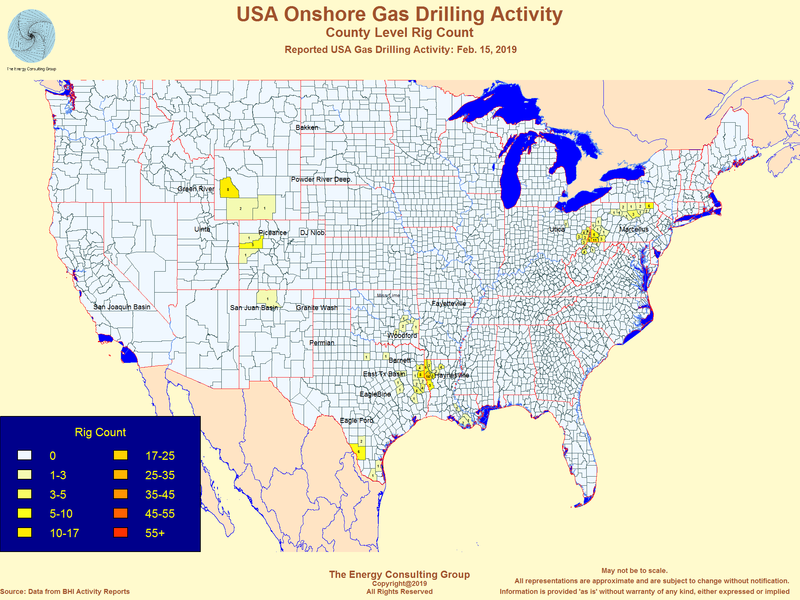 US Shale Oil and Shale Gas Drilling Activity: Rig Activity Trends and Maps Deep Utica Dry Gas: Emergence of a "super" shale gas play. Contact Bill at insight@energy-cg.com if you have any questions about the North American natural gas market. 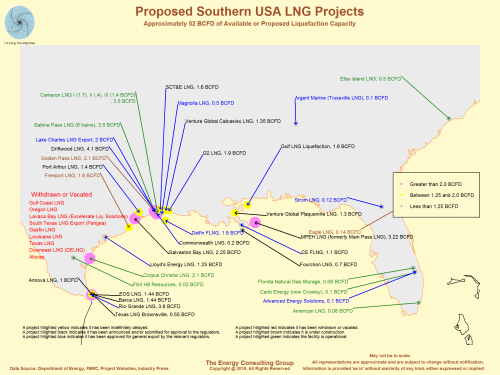 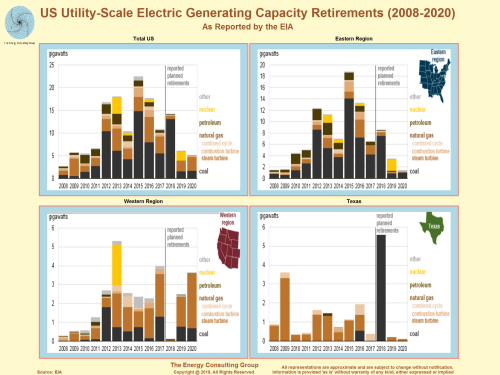 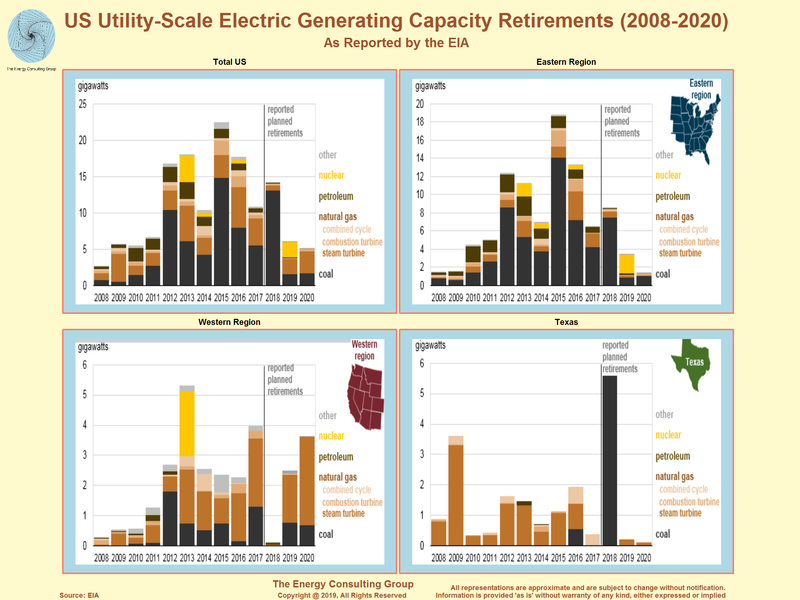 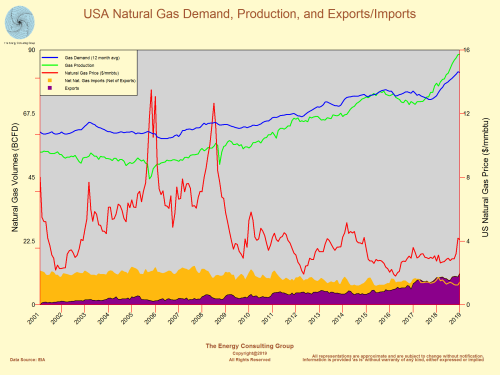 In this section we provide a brief overview of the US natural gas supply situation. 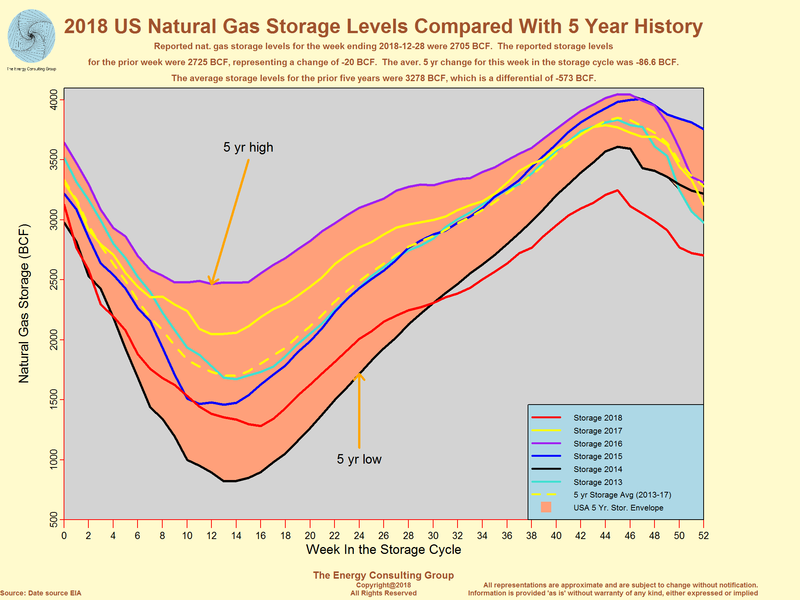 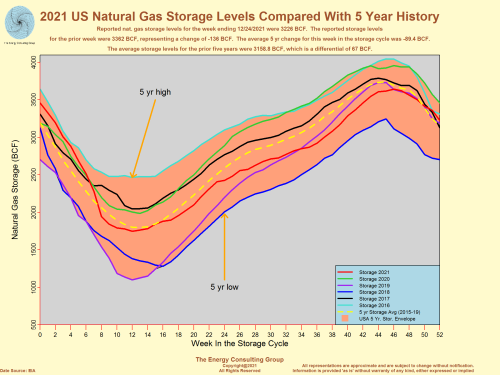 As illustrated on the following two charts, US nat gas supply, which had pulled back in response to the pricing nadir reached in the spring of 2016, has rebounded. 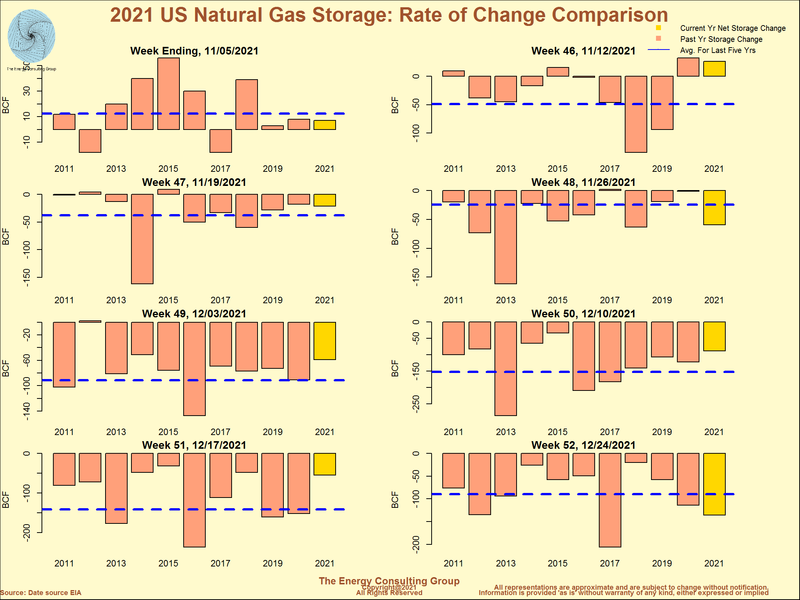 The first chart in this section illustrates that according to numbers provided by the EIA, production from the main non-conventional gas regions, which had been flat to lower through much of 2016, have now pushed considerably higher. The main reasons for the increase are higher associated gas production in the Permian/STACK/SCOOP regions, and higher volumes from the Marcellus/Utica plays. 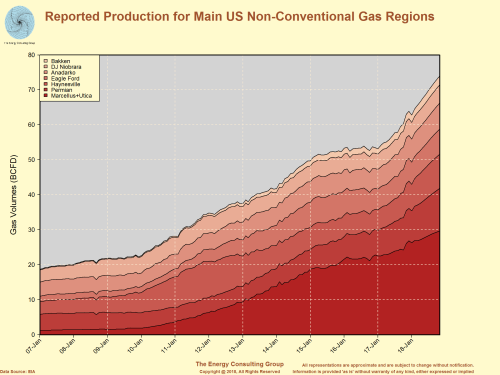 The second chart in the section provides a estimate of how the conventional regions are faring, and it shows that while these regions had experienced a signifcant production falloff since the middle of the previous decade, they too are stablizing. 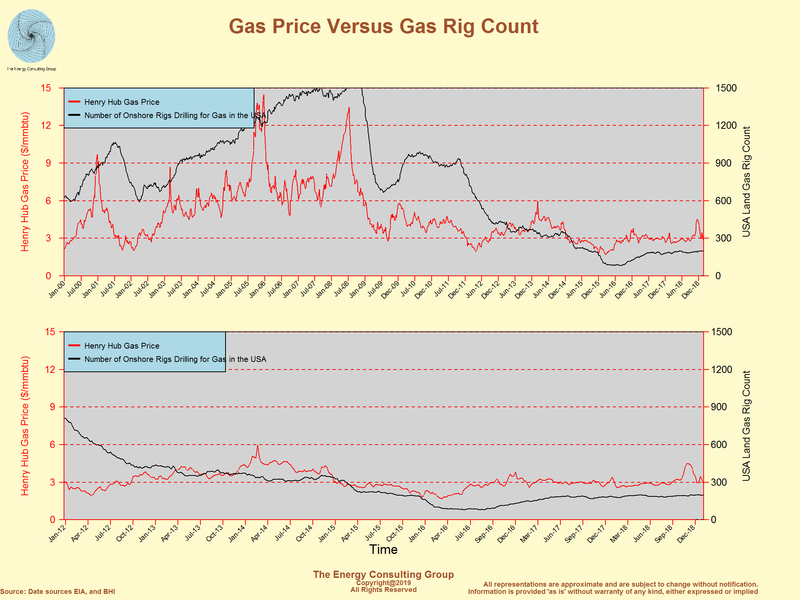 There is a clear relationship between drilling activity and price as is shown on this chart. 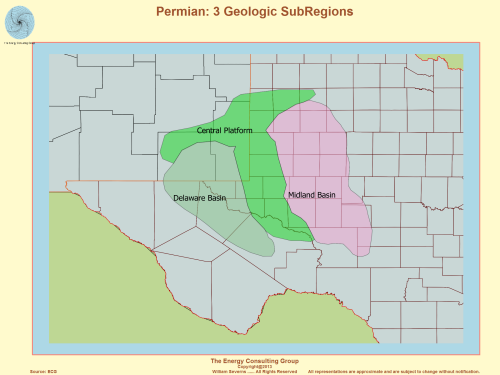 The second row of charts in this section presents the results of the USGS resource assessments for nonconventional resources in the Delaware Basin and Midland Basin regions of the west Texas and southeastern New Mexico, which is collectively known as the Permian Basin. The USGS estimates that the nonconventional resources in the western part of the Permian Basin (the Delaware Basin) have about 270 TCF of gas, which, when combined with the estimates for gas for the eastern Permian Basin (the Midland Basin), gives a total of 285 TCF. For perspective, if we were to consider the Permian a standalone country, its nonconventional gas resources would rank 6th in the world. 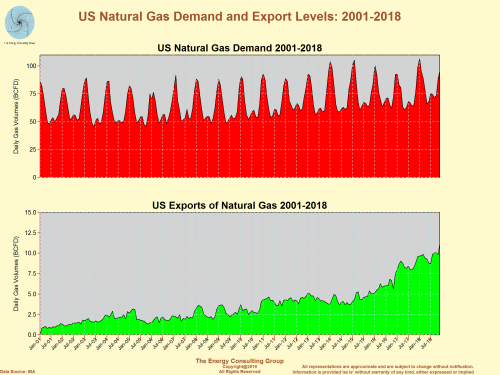 It's a big number, and has the potential to dramatically swing the focus of the natural gas supply story in the USA away from Appalachia and onto west Texas. 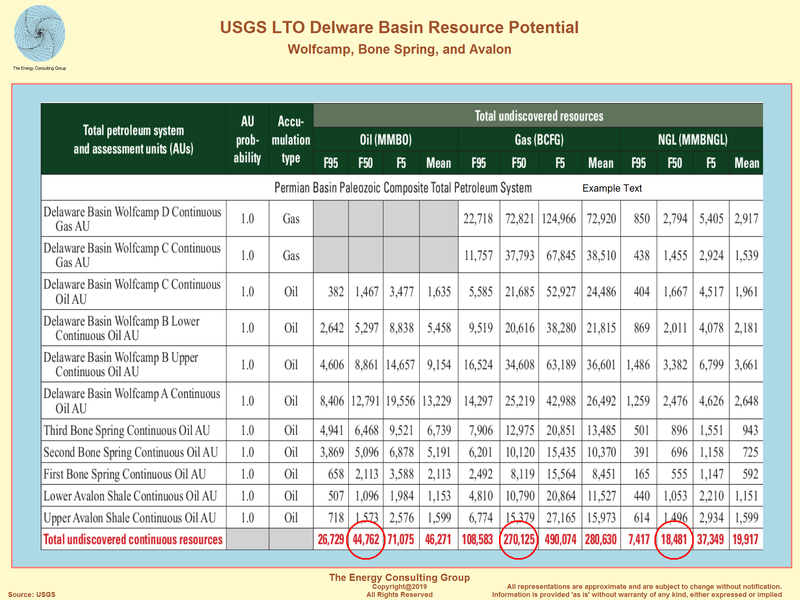 The reason it has this potential is that much, if not most of the Delaware Basin gas, is associated gas, so its coming to market almost regardless of price, because operators have to produce and handle it to produce the oil. 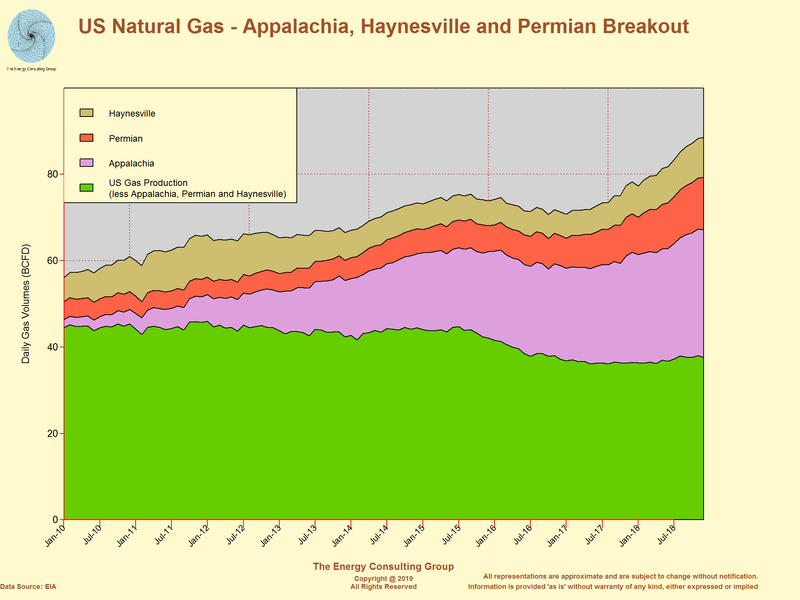 In previous commentary, I mentioned that operators may increasingly treat natural gas in the Permian the same way they treat water produced with oil, i.e. as a waste by–product. In practice, this means shoehorning the gas into the market using aggressive price discounts and, if necessary, negative pricing. 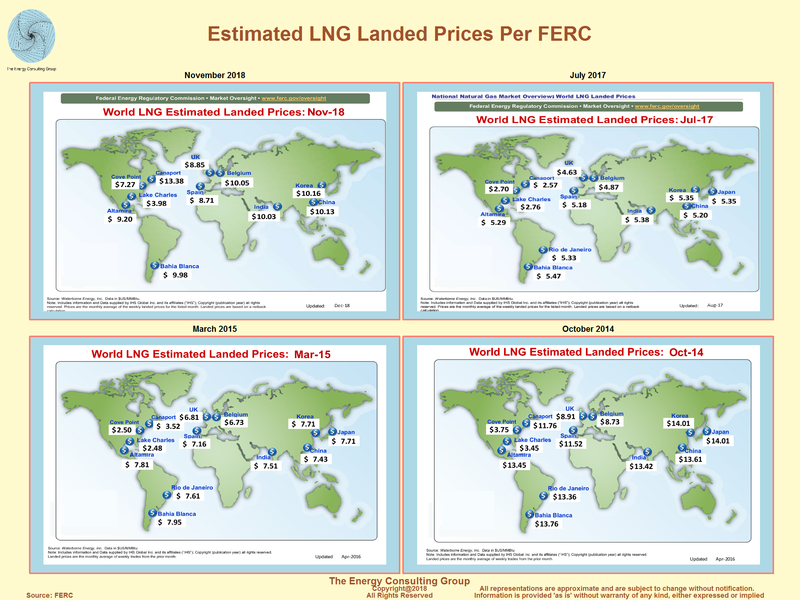 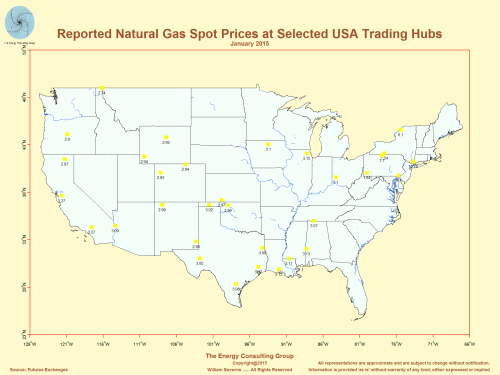 Obviously, selling gas at a large discount is not optimal from a producer viewpoint, but from a bigger picture perspective such practices could have the beneficial effects of 1) lowering spacing heating costs for much of the country; 2) lowering electricity prices; and 3) significantly increasing US exports of natural gas via LNG. For Larger, Higher Resolution View, Click Image Where Would the Permian Basin Rank Globally in Natural Gas Resources if It Were Considered a Separate Country? 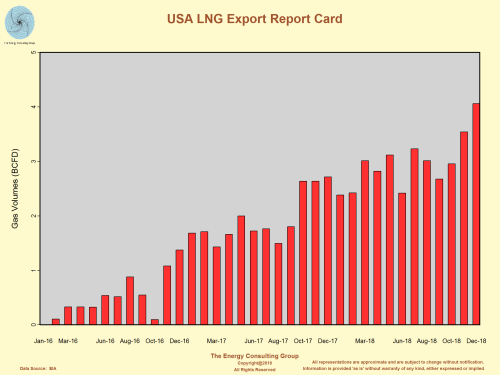 3) Falling imports, and growing exports. 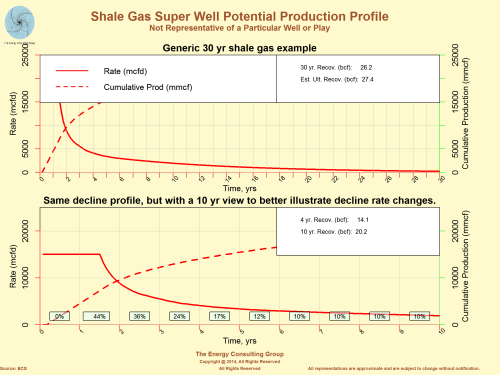 Go to this page for a discussion of the emergent Utica dry gas play, which might be the next "super" shale play. 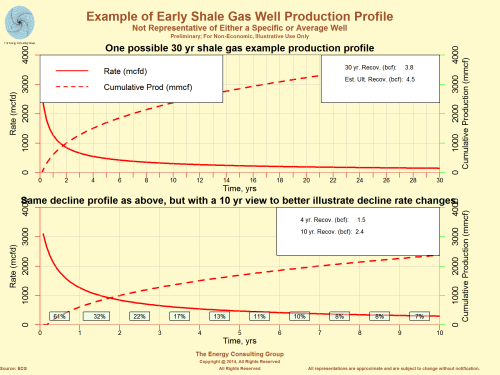 Operators have reported 24 hr IP's in excess of 70 MMCFD with flowing casing pressures (FCP) of 8000-10000 psi. Longer term, development of the deep Utica, super shale is starting to rev up. We currently estimate the resource potential of this play to be in excess of 400 TCF a significant portion of which may be economic at less than $2/mmbtu. As a reminder, three early wells in the deep, dry Utica in sw PA tested at 59 MMCFD, 73 MMCFD, and 63 MMCFD. 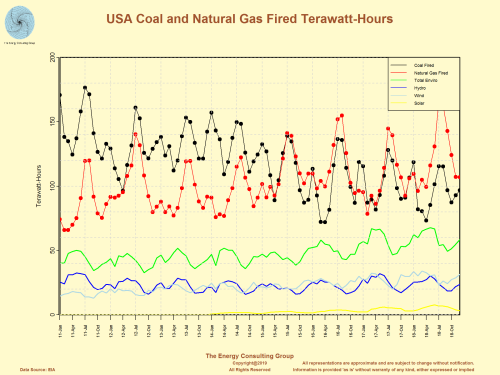 All three had flowing pressures of 8000 psi or higher. See the following links for more details: Scotts Run (73 MMCFD) well; Gaut4IH (63 MMCFD) well; and Claysville Sportsman's Club No. 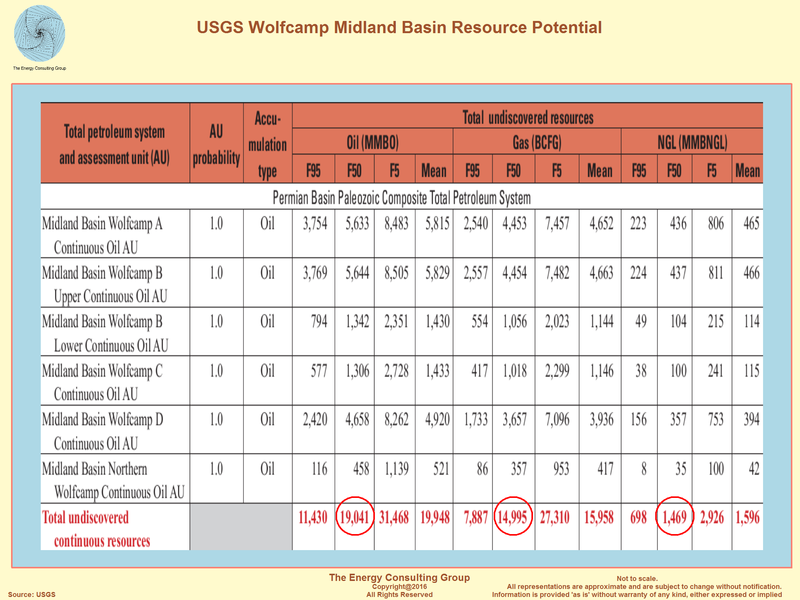 1(59 MMCFD) well. 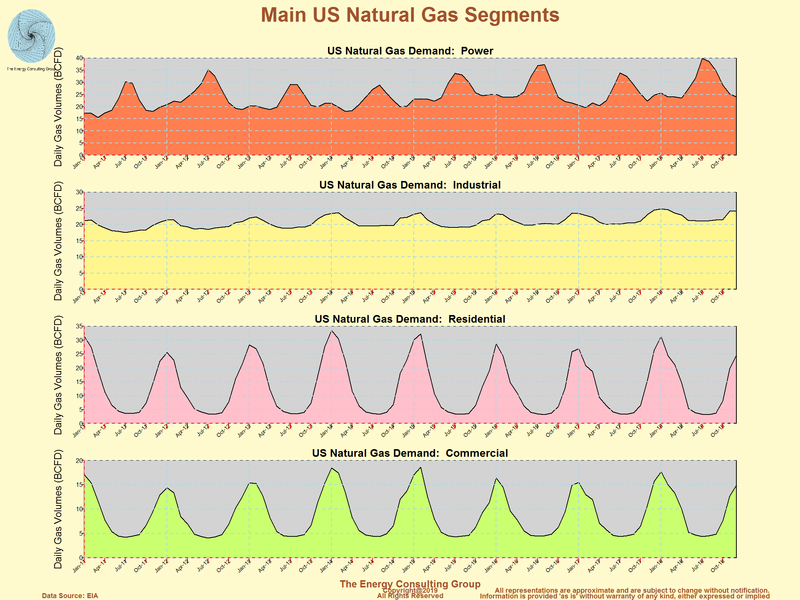 In this section we provide a brief overview of the US natural gas demand situation. 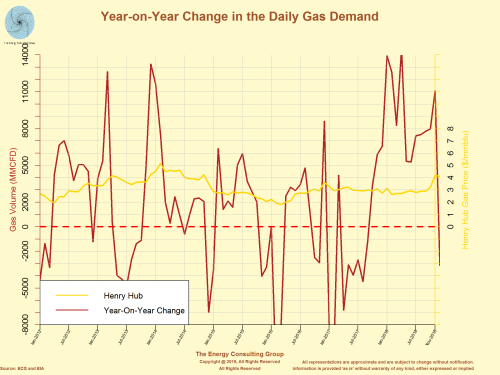 As illustrated in the first slide of this section, domestic demand over the past three years has been well above the levels of prior years. 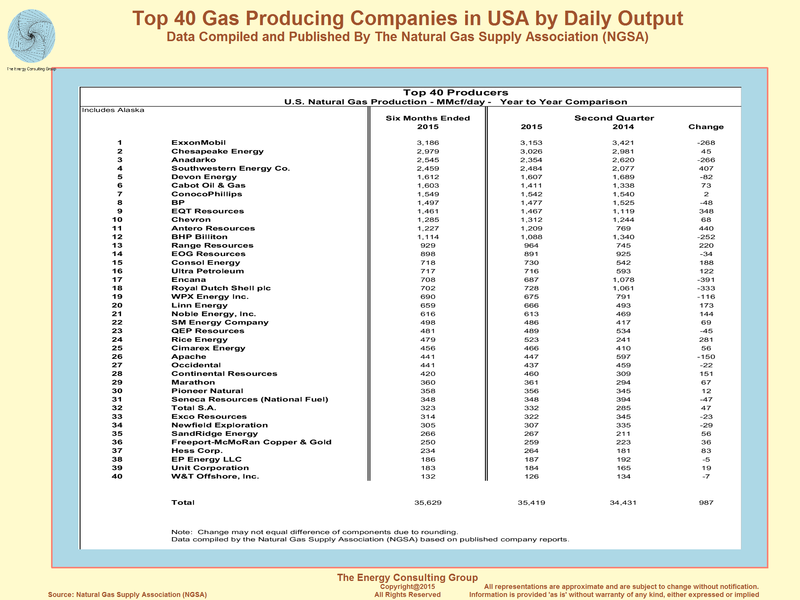 This is due to a combination of growing use of natural gas in the power sector, as well as users taking advantage of relatively low prices to use more of the commodity for a variety of purposes, including petrochemical feedstock, space heating, and transportation. Exports are also up substantialy, as both Canadian and Mexican users have imported more of the fuel, and more recently increasing volumes have been exported in the form of LNG. 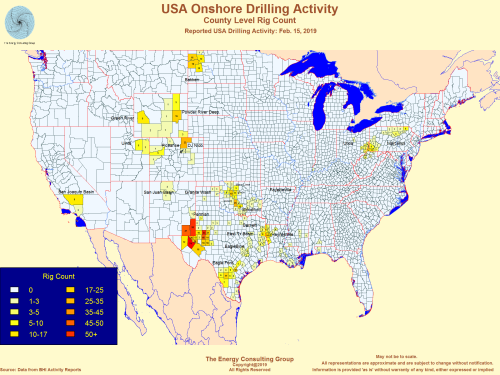 However, though the demand story is strong and has helped the market heal itself, for the recovery process to end well, domestic demand and exports need to continue to grow robustly to absorb the increasing amounts of associated gas out of the light, tight oil plays, such as the Permian Basin, Eagle Ford and the STACK in central Oklahoma. Since 2016, US natural gas drilling activity has been gradually increasing in response to higher natural gas prices. 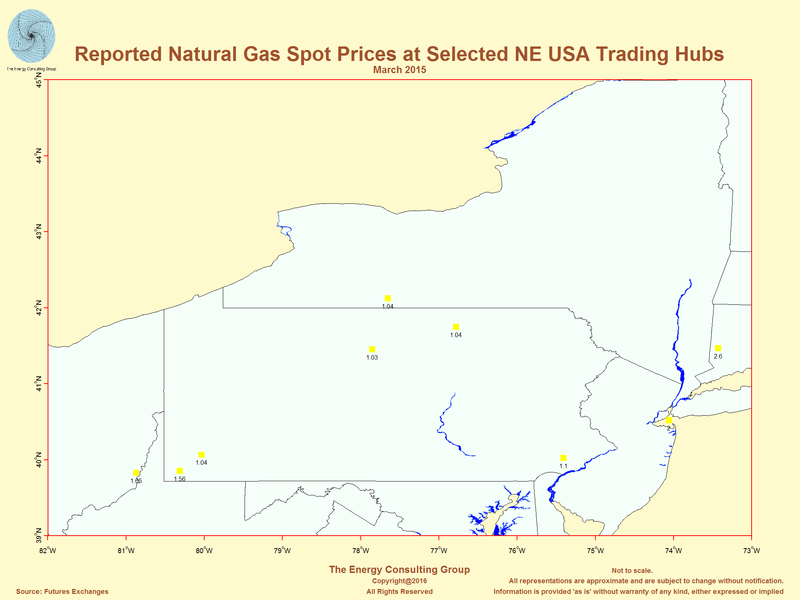 At present, this increase is concentrated in the Marcellus/Utica regions (see below), but should natural gas prices increase, our upstream activity model indicates that drilling will start to pick up in other regions as well. 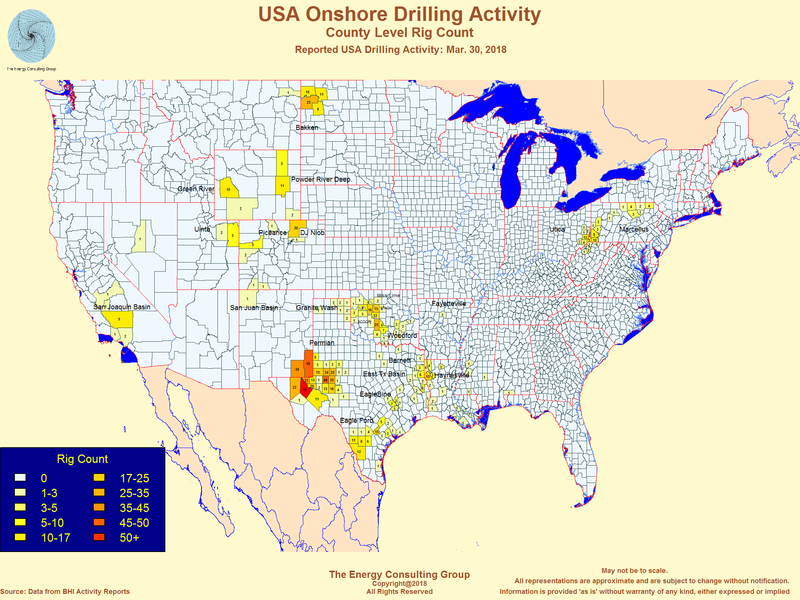 Link to webpage with in-depth data and information about North America oil and gas drilling activity. 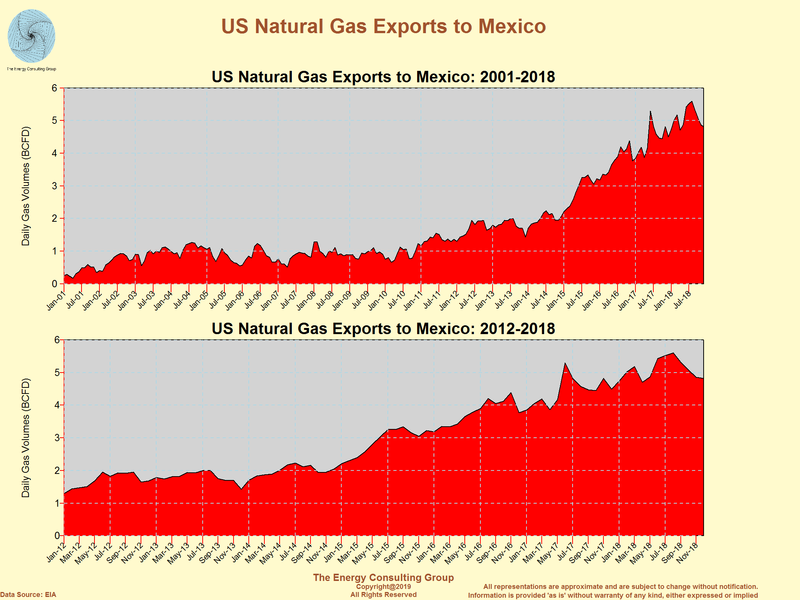 Another short to medium term factor in North American natural gas demand is fuel-on-fuel competition in the electric power industry. 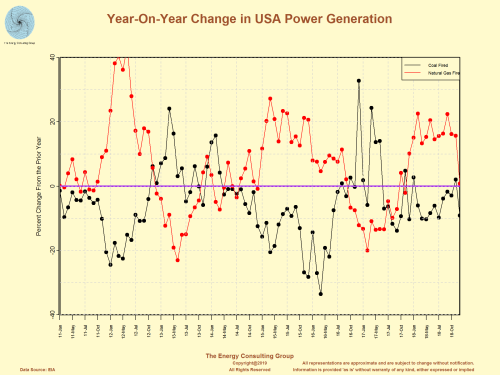 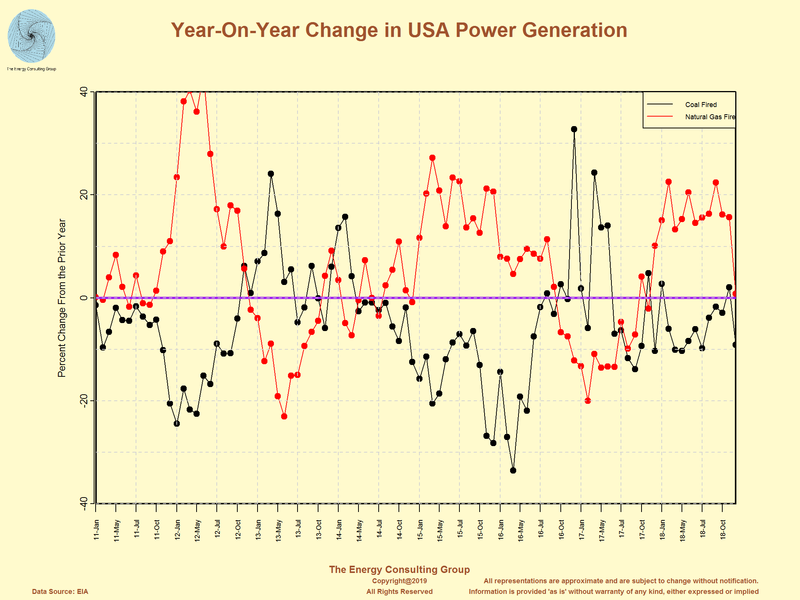 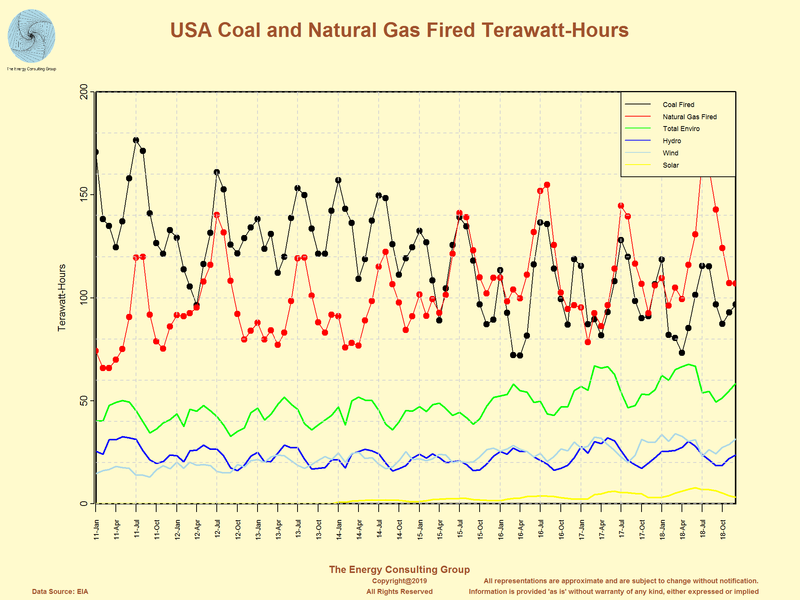 So, while there is a secular, long term shift out of coal in the power sector (noted below, in the exhibit titled, "US Electric Power Generation ByType: Coal Market Share is Declining"), the power sector has also become adept at short term, back and forth switching between between coal and natural gas fueled power plants. 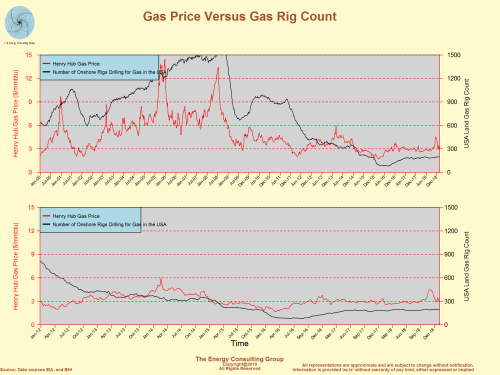 The reason is to arbitrage relative price differences between the fuels. 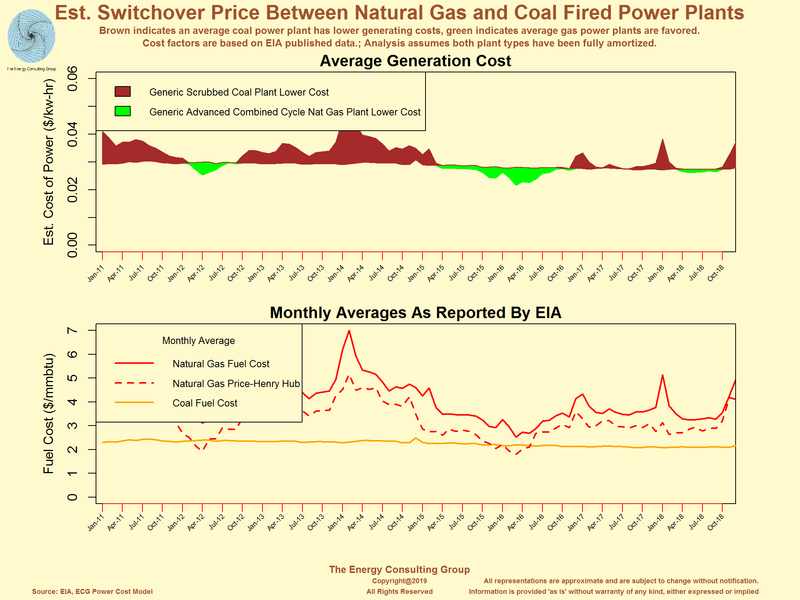 Our research (see below) illustrates that once natural gas prices at Henry Hub move below $3.00/mmbtu, gas becomes increasingly competitive with coal for power burn, and vice versa. 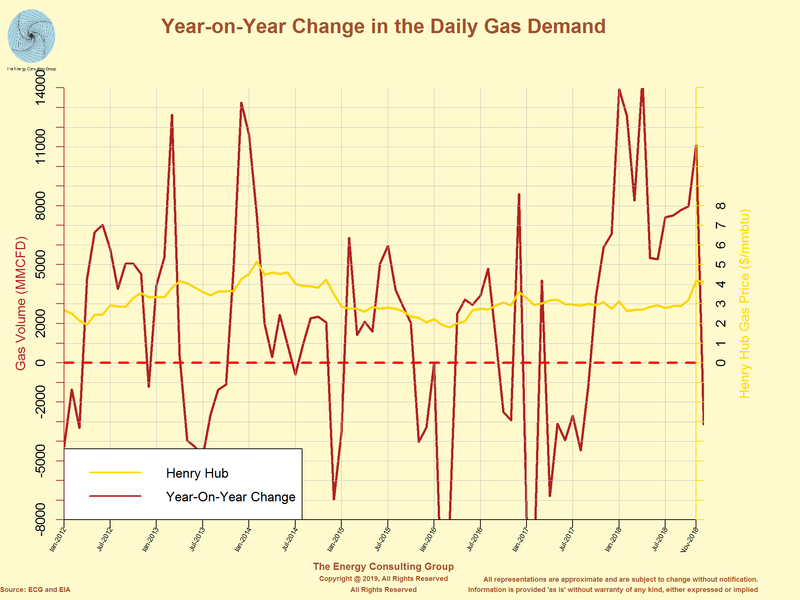 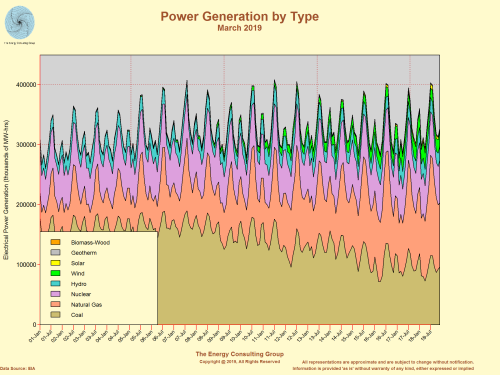 For Larger, Higher Resolution View, Click Image As this chart illustrates, once natural gas prices move below $3.00/mmbtu at Henry Hub, the cash cost of large scale power generation, mainly consisting of fuel and variable opex, starts to work in favor of natural gas. 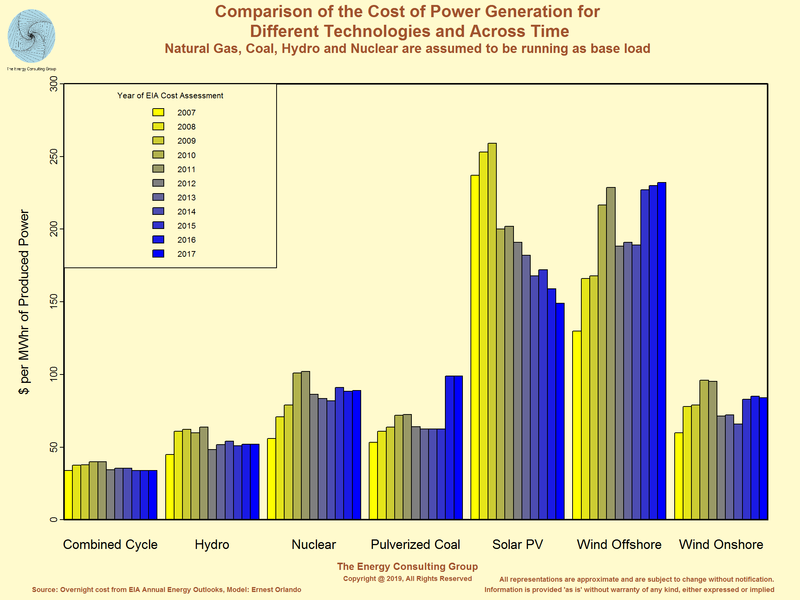 As a result when prices fall to such levels, we see operators increasing the use of natural gas fired power plants to take advantage of the lower costs. 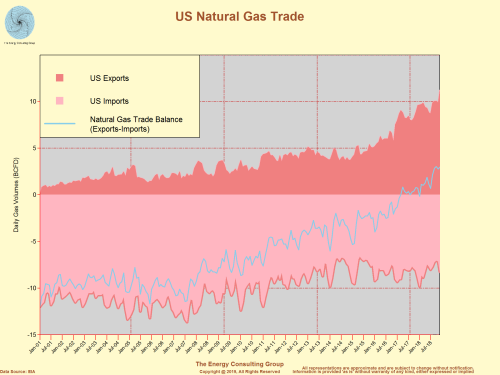 Obviously, the more natural gas prices fall below the $3.00 threshold, the greater the incentive to switch over to natural gas. This has effectively placed a floor under natural gas prices at around $2.65/mmbtu. The left hand graph in the next row of exhibits, clearly shows the relationship described in the previous paragraph, i.e. as natural gas prices move up and down relative to coal prices, fuel volumes shift as well. 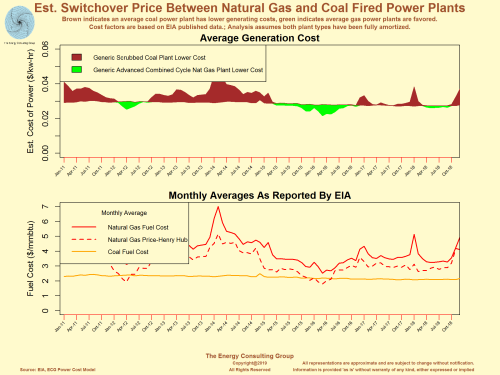 We intentionally used the same x_axis scale for the two charts, which allows us to directly compare the relationship between natural gas and coal prices and changes in the relative amount of power generated by the two types. 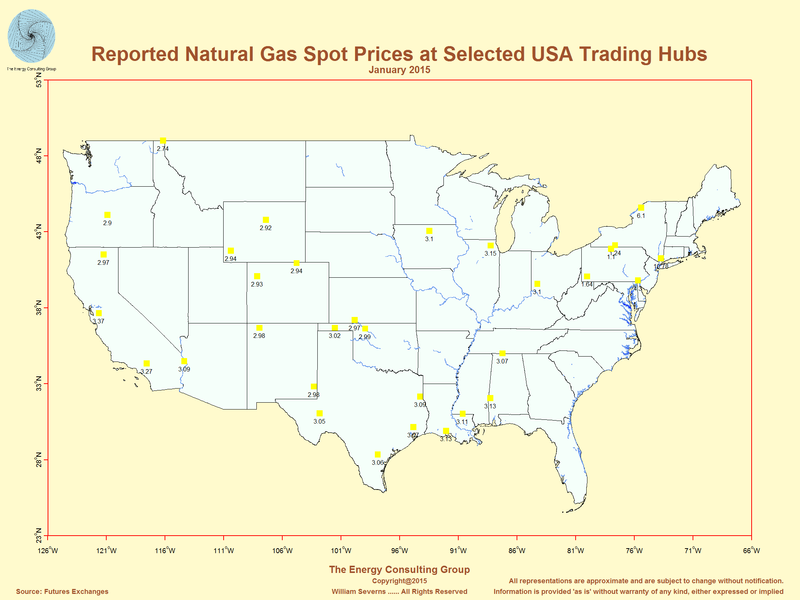 The spot price, trading hub maps presented below illustrate the price impact that plays can have on the underlying commidty price. In this case, the Marcellus and Utica in the northeast USA are hi-lighted. As shown by the spot price map of the northeast USA, prompt prices in the Marcellus/Utica area were about half or less that of Henry Hub/NYMEX pricing in January and February 2015. 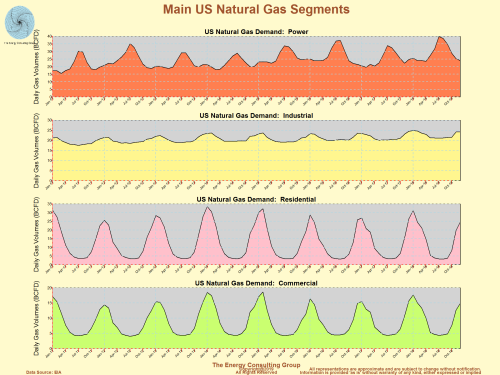 Natural Gas Intelligence (NGI) and Genscape website. 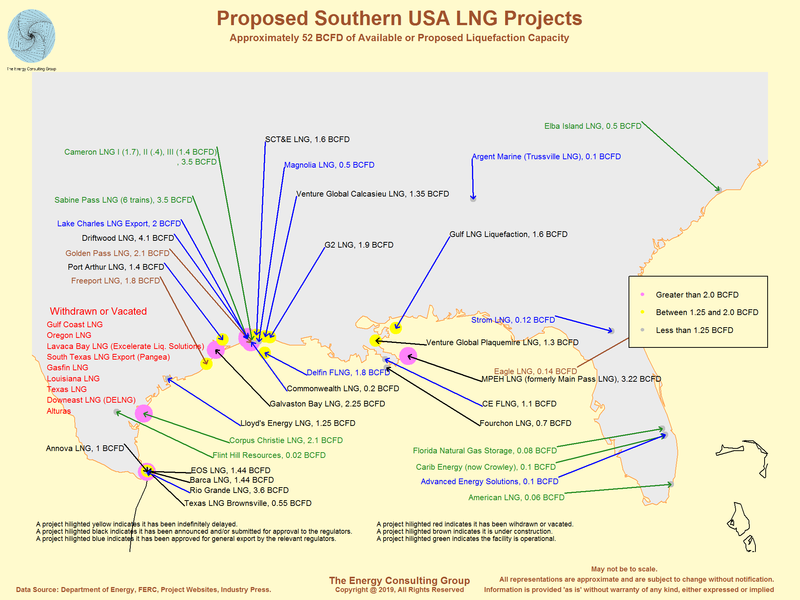 Click here to go to the full page for all the information. 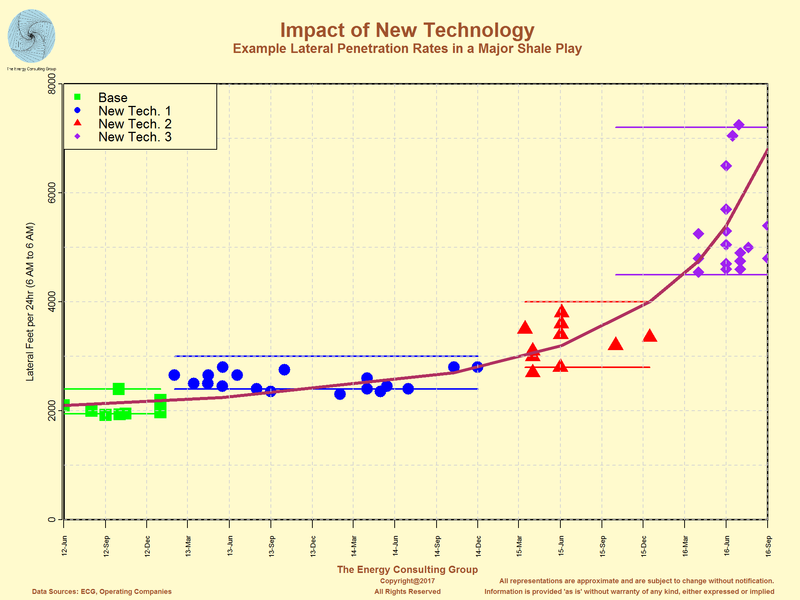 The rapid pace and magnitude with which shale play technology is improving is illustrated by the two plots below. 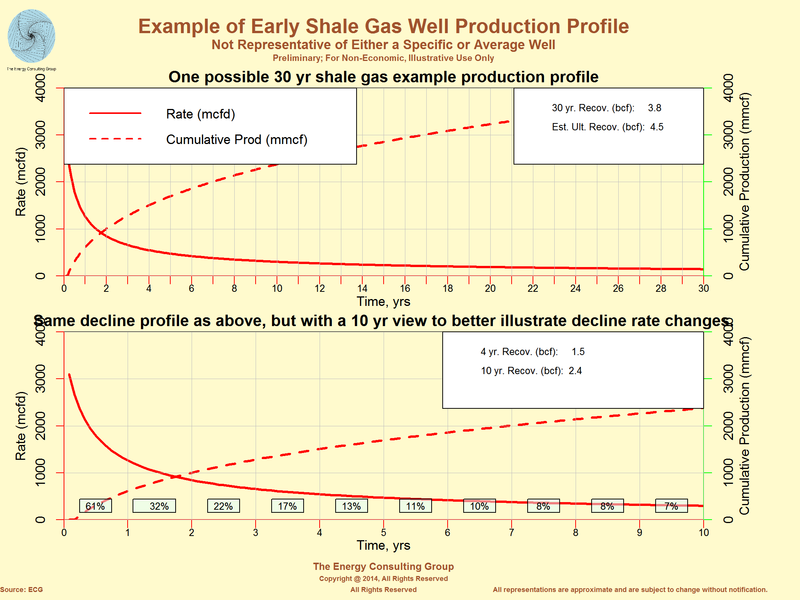 The one on the left is an example is from an early shale gas well with an initial rate of about 3 MMCFD, and an EUR of about 4.5 BCF. 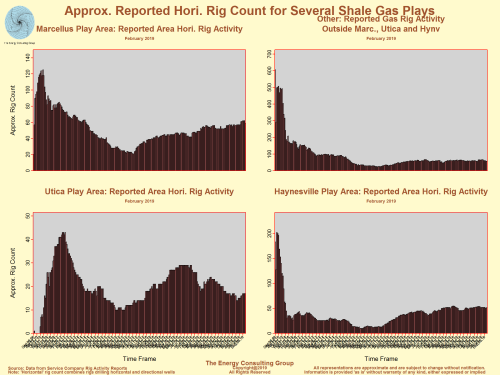 As the horizontal drilling, multistage fracking technology improved and became less expensive, individual well rates and recoveries climbed. 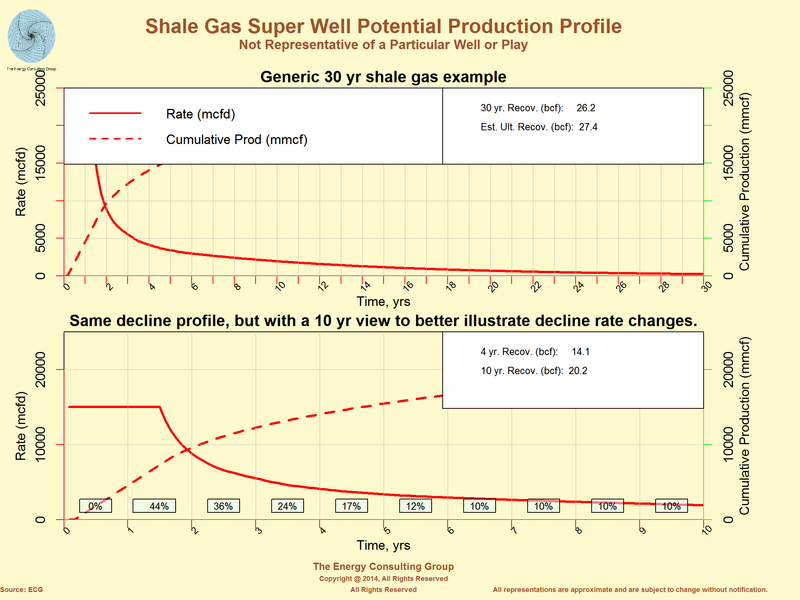 After years of this dynamic, the industry is now developing super wells, which are capable of flowing as much as 40 MMCFD, and producing nearly 30 BCF from a single well. 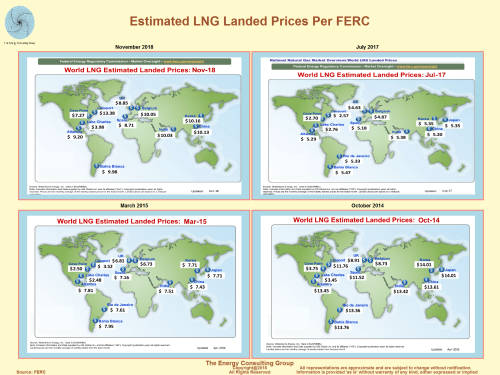 This ten fold increase in rate, and 4-6 times increase in EUR, is accomplished with about a 2x increase in well cost. Currently, only a few such "super" wells exist, but the industry is rushing to determine if such wells are only a local phenomena or whether they might be relatively common. For Larger, Higher Resolution View, Click Image How is this possible you might ask? 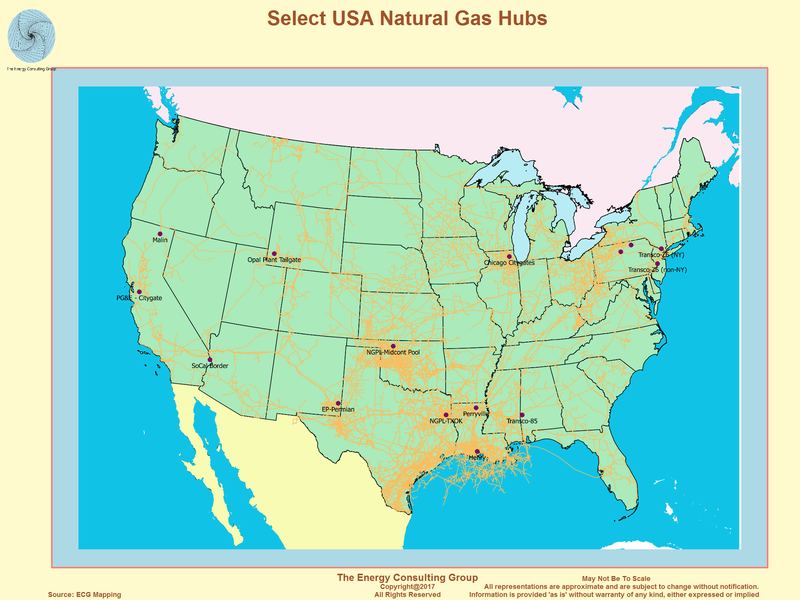 Well, this is one of our speciality areas, i.e. 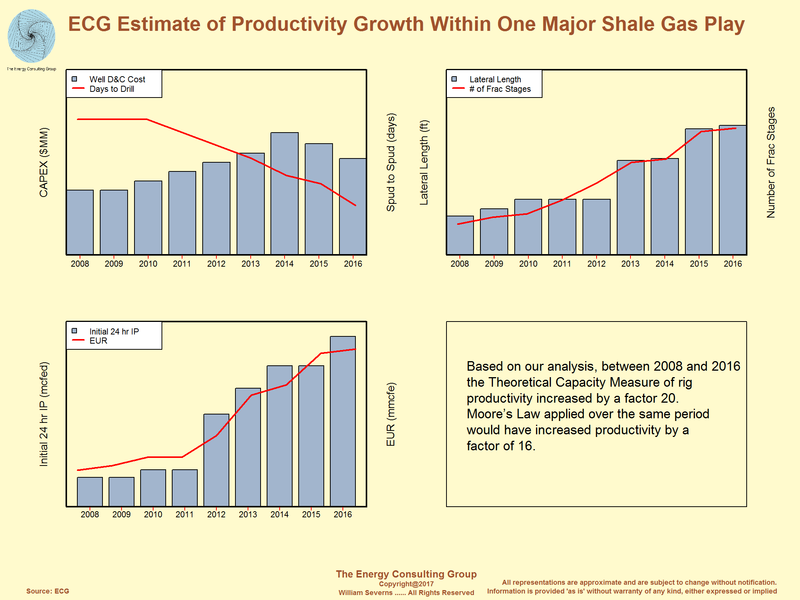 tracking new technology in the upstream oil and gas industry, and assessing how that technology "moves the needle" for companies and the larger industry. Below is an example from an operator showing how over a few short years, it managed to increase average drilling penetration rates in a major shale play by a factor of almost three, from 2000'/day to almost 6000'/day. 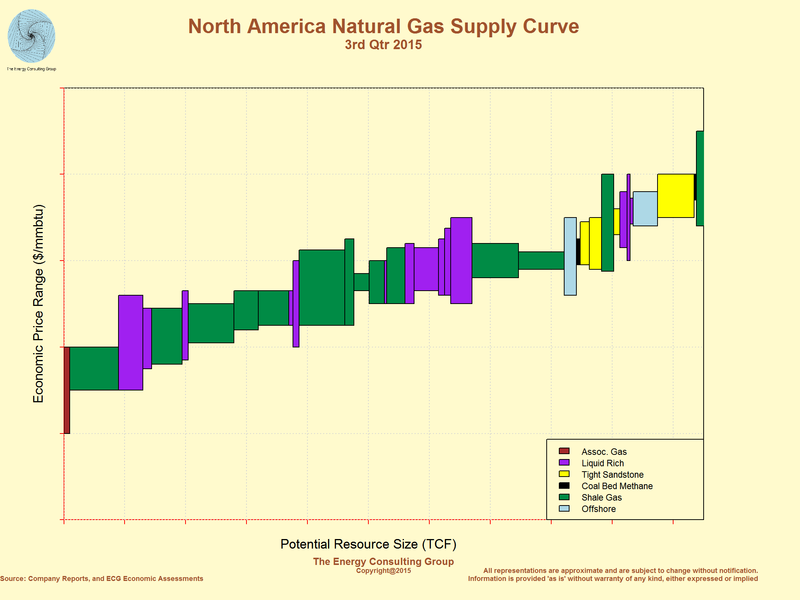 As a result of this technological revolution, the North American natural gas supply curve (below), as we calculate it, has been dramatically pushed down, and flattened. 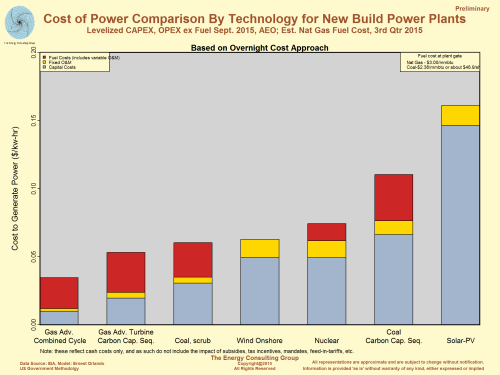 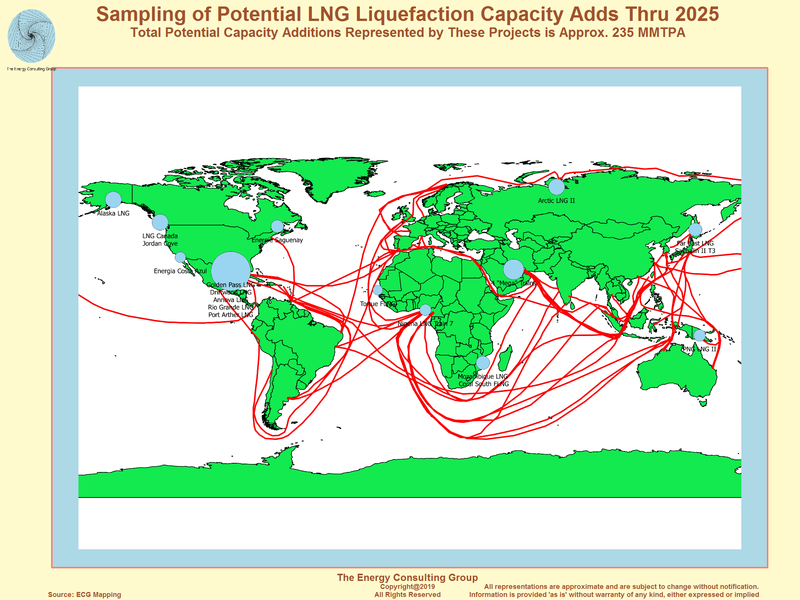 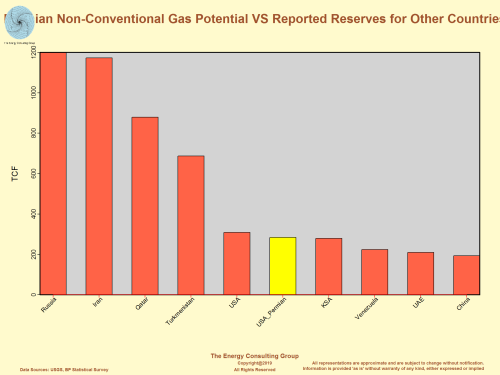 The implications are that large volumes of gas can be developed at lower breakeven costs. 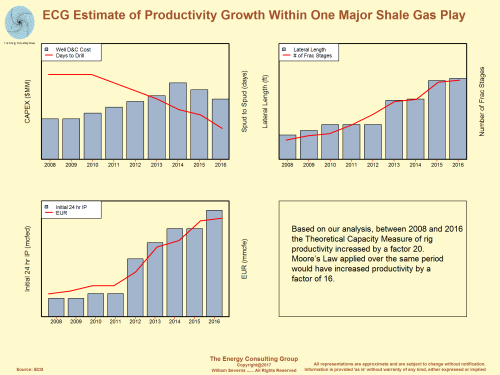 Meaning the shale revolution is not likely to be a flash in the pan, but rather a force of positive change that has the potential to lower the cost of living for everyone. 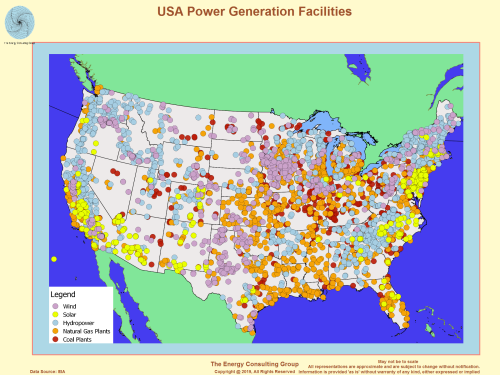 There is no better example of this than what is happening in the deep, dry Utica in southwest Pennsylvania.